Beliss Pro Ionic hair brush is a heatless portable straightener. 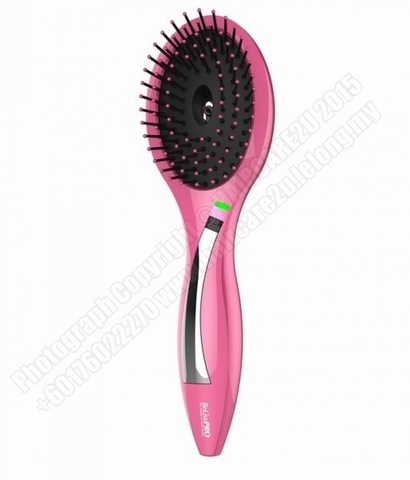 Its is anti-static and anti-frizz and works to smooth out your hair to a shine and beautiful finish. Say goodbye to rough and unruly hair as this comb has ionic compounds that works to naturally smoothen your hair. We have done our personal straightener review as it works similar to a flat iron without the heat. Its an amazing hair care tip for healthy hair. Its portable and can fit snugly in one&apos;s handbag and makes a great haircare tool on the go & functions to treat your hair as wekk as relaxes your hair. This ionic brush is made of ceramic. 6: Box: PVC and Color paper packed, with manual.